Discover the ‘Lake of Fire’ on this small-group hiking tour that takes place on Wednesdays. 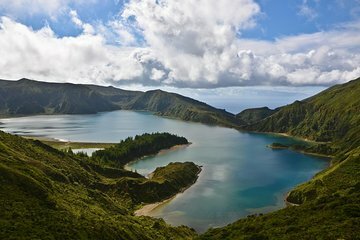 Explore the lush jungle of Sao Miguel as you make your way up to Lagoa do Fogo, 1800 feet above sea level, and enjoy a dip in the cool waters. Admire the beautiful views of the southern coast of Sao Miguel during your descent and complete about 7.5 miles by the end of the tour.